No roof space? No problem! Get a custom designed solar system to fit your property. Harness the power of the sun all year long! 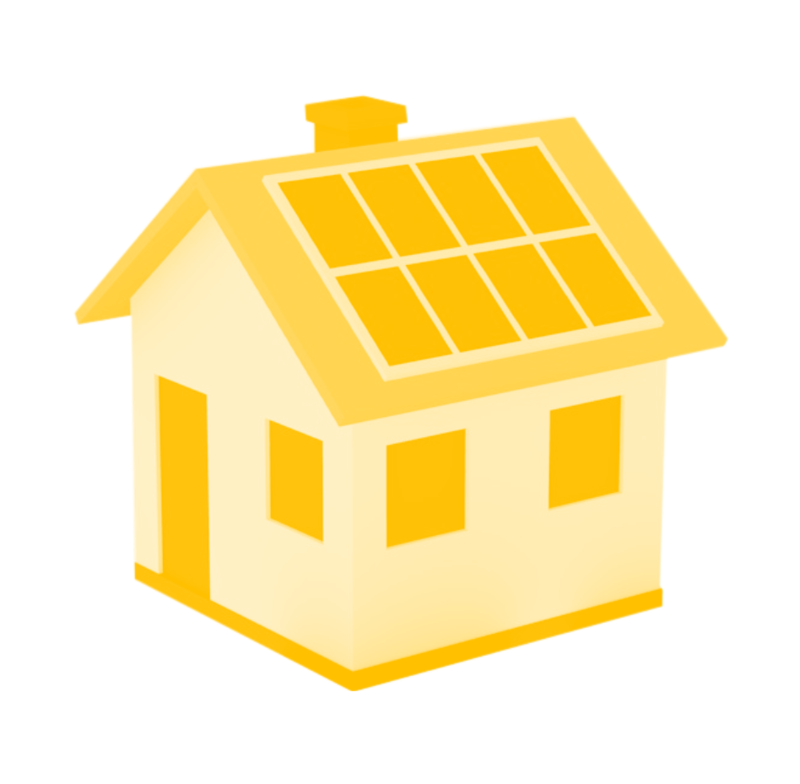 From site assessment to monitoring and maintenance, we will guide you through the entire solar process. 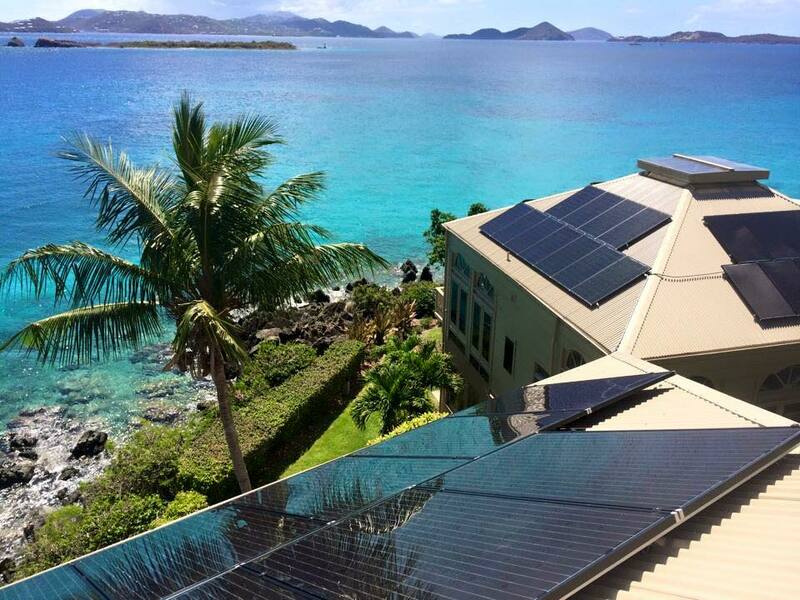 Learn about our off grid systems in St. John and St. Thomas in the US Virgin Islands. Locally owned and operated, with a focus on quality and customer satisfaction. Caribbean Solar Company is honored to have earned the Best Solar Supply on St John 3 years in a row. Cast your vote for the Best of VI here. 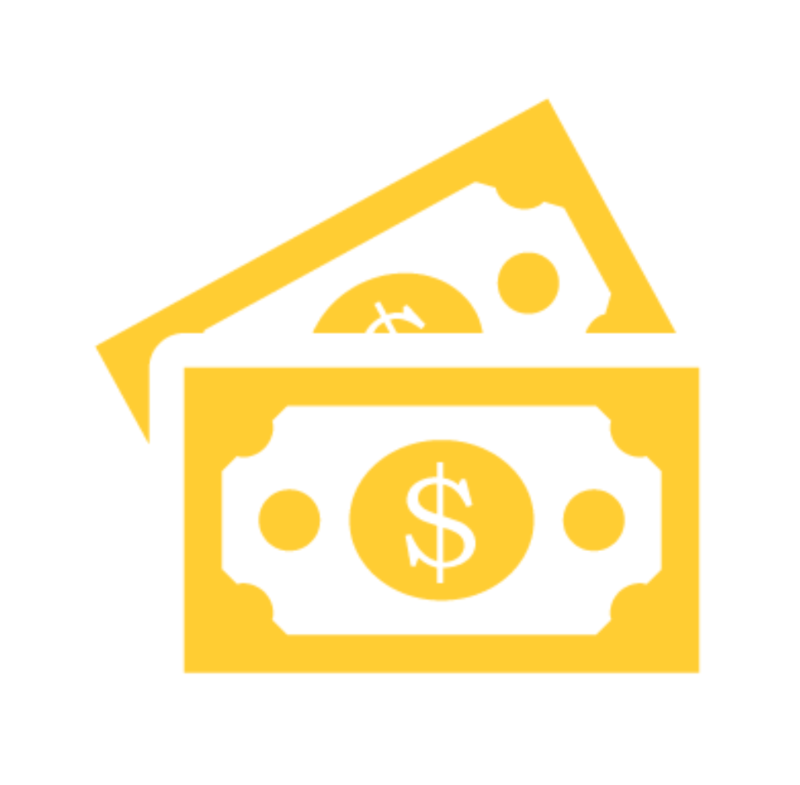 As the leading solar provider on St. John, we are dedicated to making solar attractive and accessible to residents and business owners in the virgin islands. Starting with a professional installation, through performance monitoring and comprehensive warranties, our team ensures that your solar system is operating at peak efficiency throughout its lifetime. Our crew never cuts corners or uses “quick fixes”. 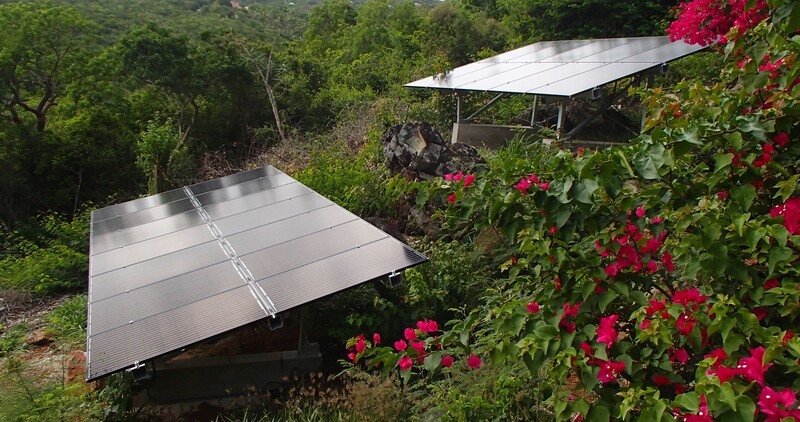 Our solar systems are installed to last, even in the harsh Caribbean environment. We go beyond your typical solar install. Our experienced installation team has rebuilt roofs, re-wired faulty systems, and fixed construction errors before starting new installations for some of our solar customers. Having trouble with your current solar installation? We’ve brought energy systems back to life for customers who were abandoned by their installer. 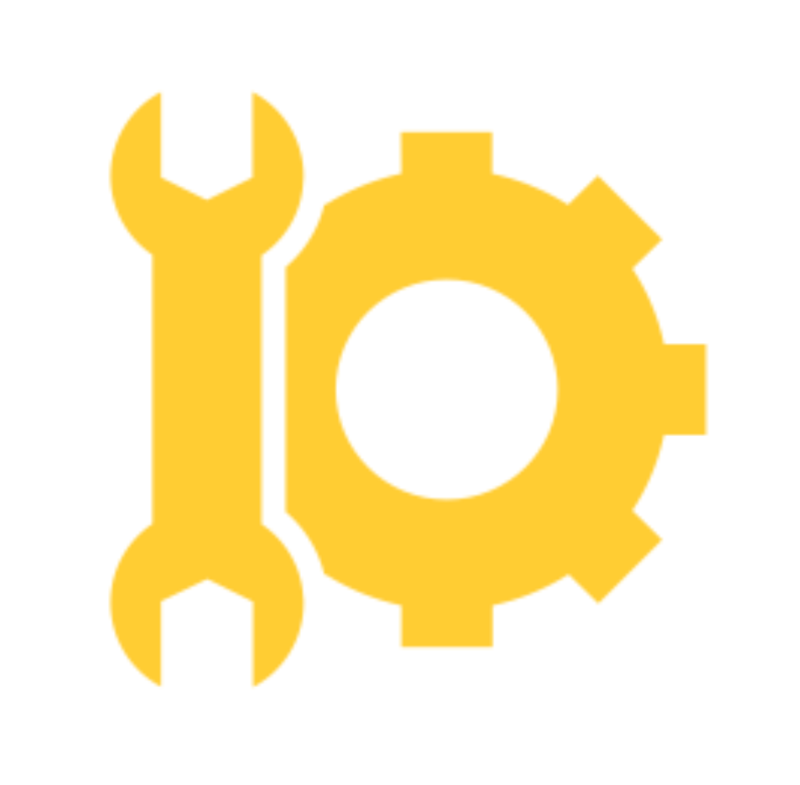 We’ll make sure your system is back up and running at top performance.